Additional fee of up to $2.50 for Oil Filter Recycling. 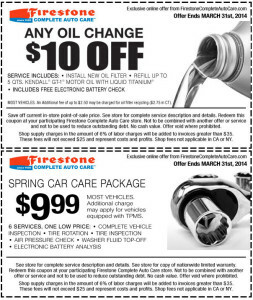 This coupon expires March 31, 2014. 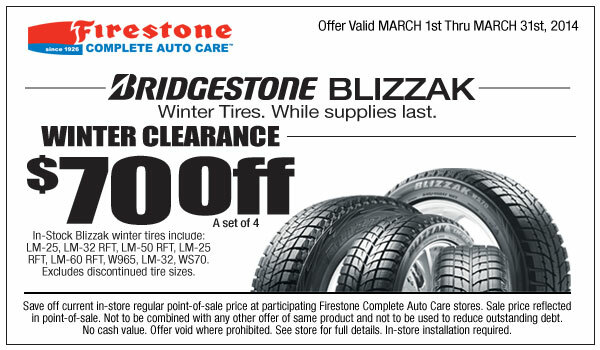 Firestone Complete Auto Care winter clearance available on Blizzak tires. Discount is valid on Bridgestone Blizzak Winter Tires, while supply lasts. 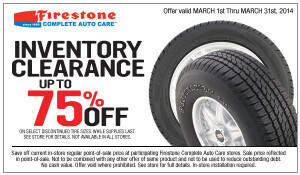 Limited stock on hand. 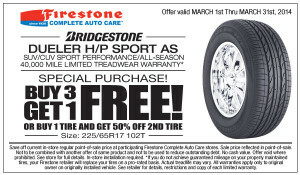 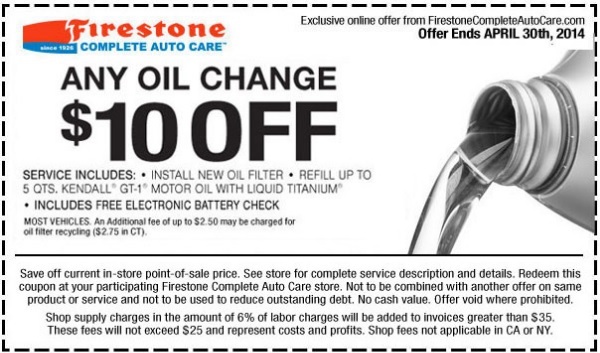 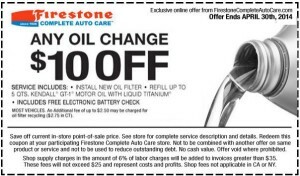 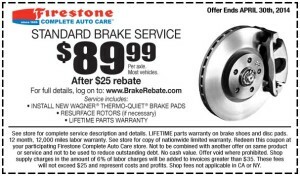 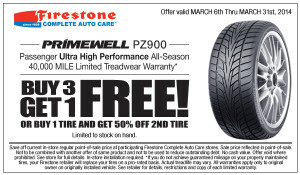 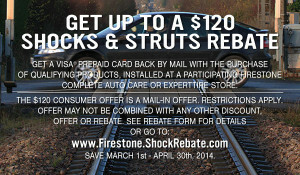 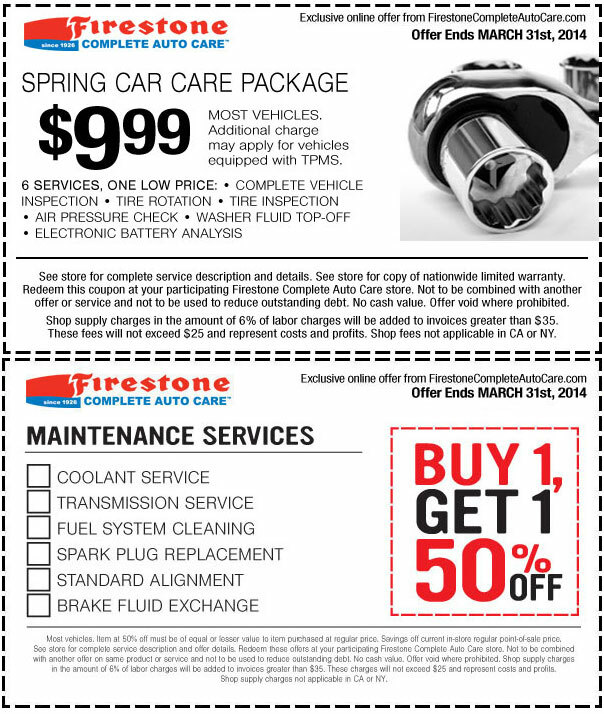 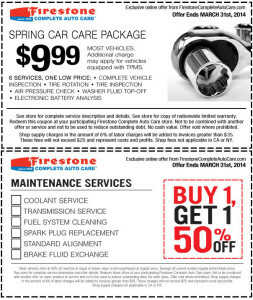 Offer Valid only at Firestone Complete Auto Care locations. 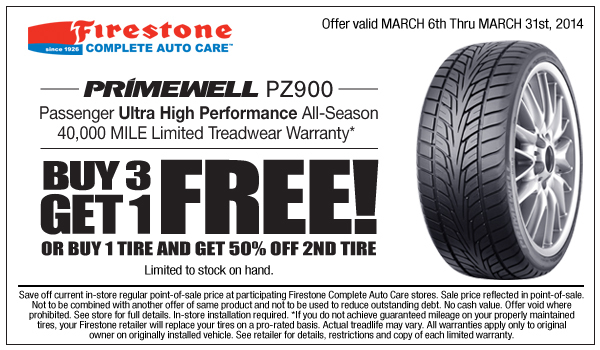 Exclused discontinued tire sizes. 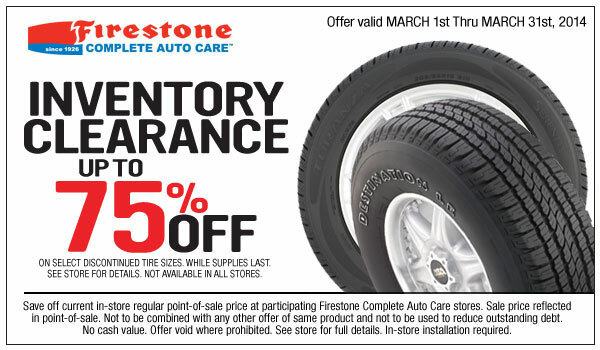 Select discounted tires that have been discontinued at Firestone Complete Auto Care are being discounted. 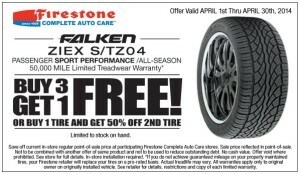 Discounts as big as 75% off of select tires. Discount available while supplies last. Not available in every store location. 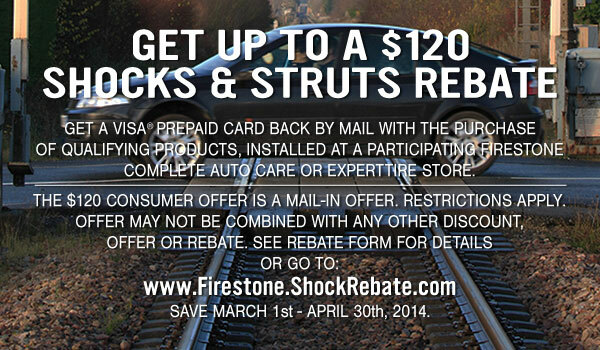 This rebate expires April 30, 2014.